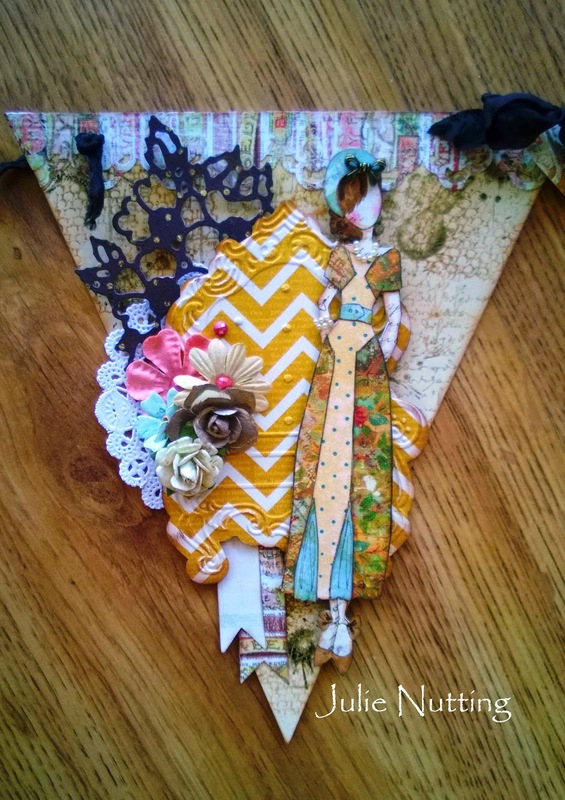 Julie Nutting Designs: Meet the New Girls! My newest collection is getting ready to ship! I have always been interested in the history of fashion and knew that this fascination would become a part of my little stamp world! This collection spans the 1920's through the 1960's, when fashion had it's most drastic changes in history. Recently in a class, I was asked if my girls have stories behind them and the answer is, of course they do! As I sit and draw I can't help but come up with stories. This is Ruby. Yes, I watch Downton Abbey and can't help but be infatuated with the clothes! Ruby is from this period and as I was drawing her I couldn't help but think about what life must have been like in the 20's. We all watched The Great Gatsby last year and this little lady seemed to be flirtatious and maybe a bit of a scandalous flapper. I'm thinking she may have even gone to Paris and hung out with all the artists and writers. Perhaps she may have even done some modeling for the well known artists of the day. I do know she would not have been happy at home making jam or sitting in the parlor doing stitchery all afternoon. She wasn't a bad girl (well maybe a bit naughty) she just wanted to experience the excitement of a new era. I love Ruby, and I'm waiting to have it in my hands as soon as possible, thank you for sharing all your creations! Lovely to hear their stories! So interesting to hear that the one that gave you the most trouble became your favorite - I completely understand that phenomenon! Gosh Julie, how fun is your life!?! Being a grown up and being paid to play with paper dolls and create new outfits for them to wear, including jewelry, hats and shoes. I too, love knowing that your drawings have stories. Have collected many of your stamps, and was so excited when I found my namesis Mindy, several releases back. A stamping friend, knowing I loved your stamps so, wrote me immediately when she saw "Mindy" released, so I could order her at once. Thank you for your inspiration and vision. It was so nice to have met you at CHA... I so love your work ! You did it again, Julie! Breaking my bank as I gotta' have 'em all! Love the stories behind them too! What fun! I want Jeanne and the 1910 boy. I just got these recentrly and hadn't realized they were from this decade collection. What fun to read the stories that inspired you while creating them. I'm wondering if while you were creating these if you were at all inspired by Erte? One of my favorite artists! Very art deco/fashion of that time.